The house sparrow’s Latin name, Passer domesticus, means small, active bird (Passer) belonging to a house (domesticus). House sparrows are tough little New York City birds that fill our parks, streets, sidewalks, and back yards with their daily comings and goings. Illustration by Trudy Smoke, used by permission. One hundred house sparrows were introduced from Europe into Brooklyn and Manhattan in the early 1850s. From there, the species expanded throughout North America. 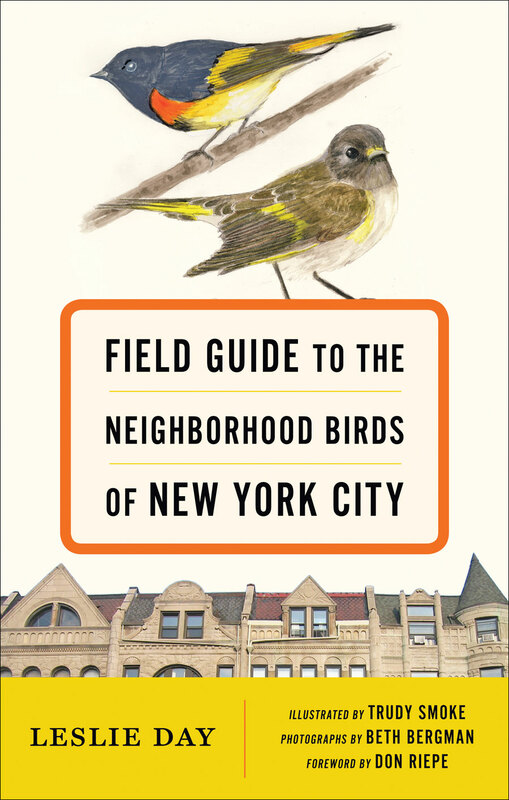 It is the most commonly seen bird throughout the five boroughs. The male has a gray crown with chestnut patches bordering the crown and extending down to the pale gray cheek and neck. The black stripe in front of the eye extends to the beak and meets the black bib. The thick bill is grayish-black, and the legs are pale brown. The rump and tail is gray, the shoulders are chestnut brown, and the wings are brownish with a white wing bar. The female has gray checks, neck, and breast without the black bib. She has a buffy stripe between a brown eye stripe and brown crown. House sparrows have the unusual behavior of taking baths in patches of dusty soil, usually in large groups. Each little bird creates a depression and throws dust all over its feathers to destroy parasites. Originally from Africa, they have evolved this adaptation of bathing without water. These are small birds about six inches long, with a wingspan up to nine inches. However, they have big personalities. Unafraid of humans or dogs, they stay together in large family flocks and feed out in the open. House sparrows mate for life. They live and nest inside every street corner lamppost pipe, over air conditioners, and inside any cavity they can find on building exteriors, dock pilings, and window grates. Within these cavities, they construct their nests with dried grasses, feathers, and string. I have seen them emerge from places that are surprising, like the nostrils of Teddy Roosevelt’s bronze horse on Central Park West in front of the American Museum of Natural History. They are devoted mates and devoted parents. When we lived on our houseboat, our cat Woody caught a baby house sparrow and carried it back to the boat alive. I gently removed it from his jaws and kept it warm. The bird’s mother and father stayed outside the houseboat window on a piling looking inside and chirping nonstop. Once the little fella could stand and seemed out of shock, I opened the window and out he flew, accompanied by his parents who chirped wildly to him as they flew back to the park. Their voices are a series of seemingly identical chirps, although a bird researcher I know told me that they have different sounding chirps. House sparrows play an important ecological role. 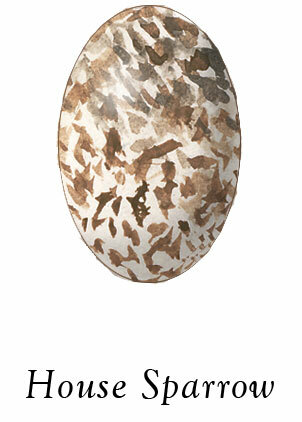 They are omnivores, feeding on fruit in summer and dried berries and grass seeds in winter. In summer, they also consume invertebrates: beetles, cicadas, grasshoppers, crickets, aphids, spiders, flies, and moths. When I walk out of our building in Washington Heights, I love seeing them inside the yew trees and holly bushes. Nearby there is a tree that is a roosting site for hundreds of house sparrows each evening. Opposite this is a tree that is a roosting site for hundreds of European starlings. The noise these two species make is almost deafening as they settle down each evening after a long day of hunting for food, keeping warm, and preening their feathers. And the chatter each morning is just as loud as they prepare themselves and us for the day ahead.